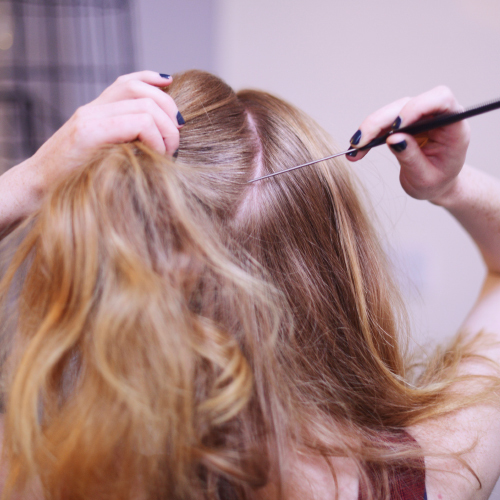 Step 1: Tong random sections of hair on either side to give it some movement and grip. 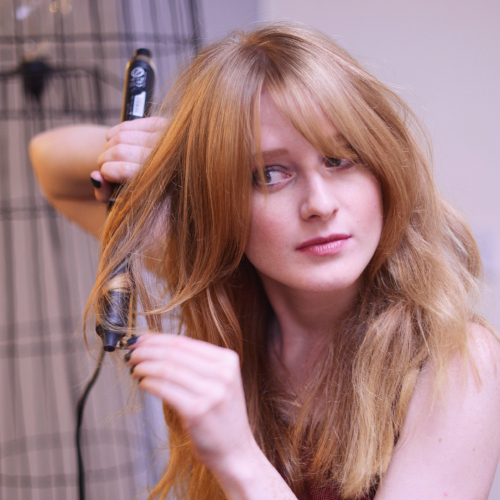 Hold your tongs vertically and make sure you curl right to the ends. 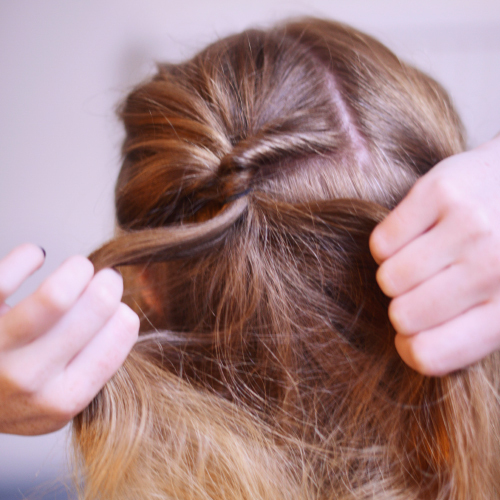 Step 2: Divide your hair into two from the crown to the curve of your head – as if you were going to tie your hair in bunchies! 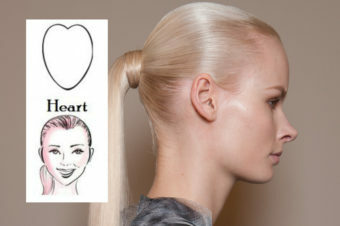 Step 3: Secure both sections in a loose ponytail using the top of your ear as a guide – it’s important that both bands are level. 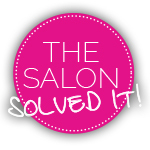 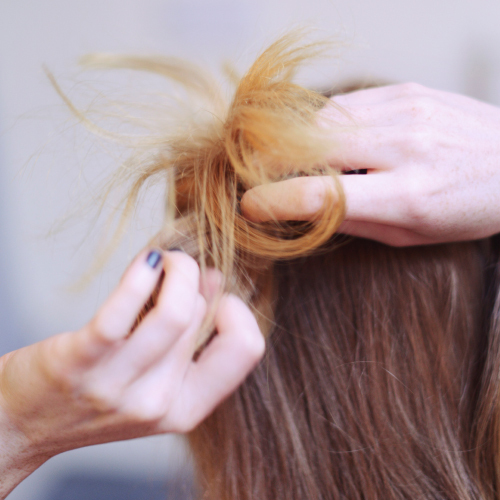 Step 5: …then flip your ponytail up and over, feeding it through the hole you’ve just created. 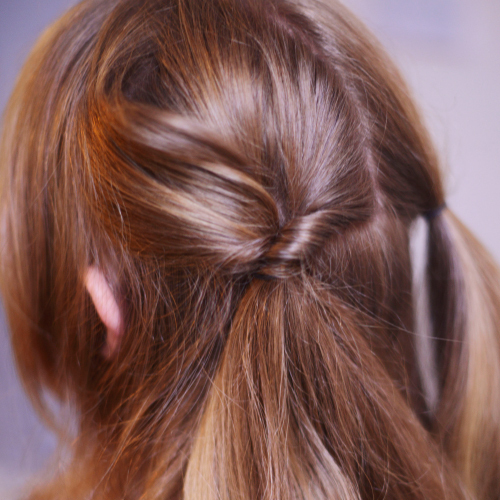 Step 6: Pull the ponytail tight so that the band tightens underneath the loop and becomes invisible. 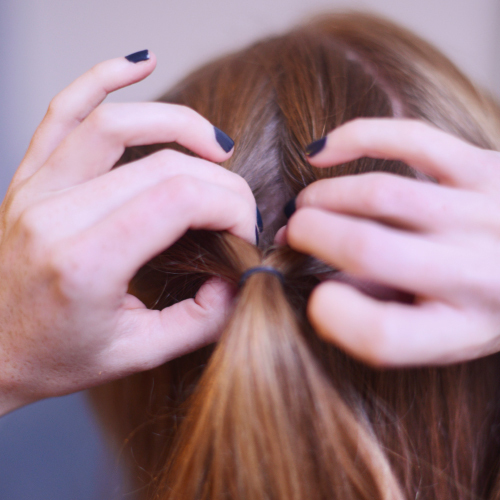 Step 7: Use your fingers to loosen the loop and ponytail for a softer finish. 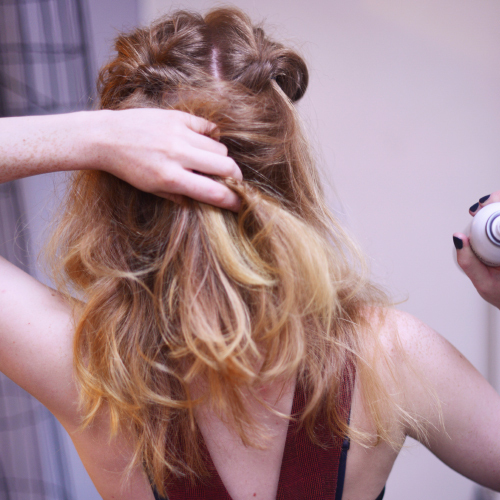 Step 8: Repeat on the other side then lift the ends and spray with hairspray to create texture and volume. 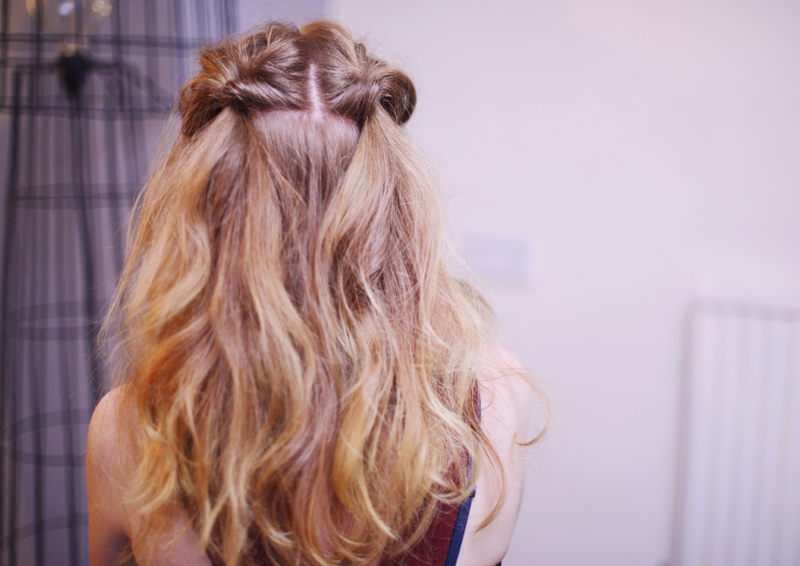 Ta-dah, bunchies just got a whole lot prettier and grown-up. 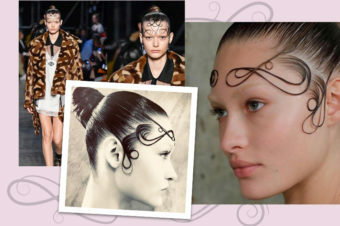 Why not go all out and add an accessory too!